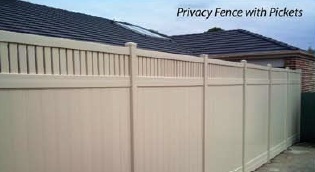 PRIVACY FENCING is popular on residential properties, commonly used to divide property boundaries. Our Privacy fencing is Impervious to moisture, termites and fungus. Rail inserts are manufactured with tongue & groove joints to ensure a smooth elegant finish. Identical on both sides ensuring our fences are pleasing for both you and your neighbours. Constructed to withstand high wind loads and work as a sound barrier with it�s acoustic attributes. Completely compatible with our Aluminium Gates and accessories range.